Sangrias are a popular punch to serve guests for almost any occasion and over the years the original sangria has been adapted, revised, and reworked many times. The beauty of sangria is that you can easily make it your own. 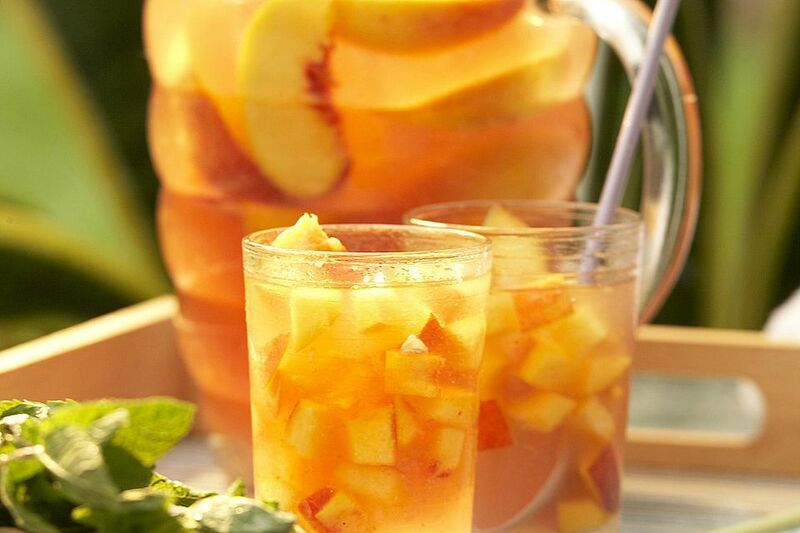 This White Peach Sangria is a fabulous recipe as is, or you can tweak it with different stone fruits of your liking. Here we have mango, peach, and Pinot Grigio along with lemon, lime, and orange. The finished punch is a light, flavorful, fruity mix that is simple to make and sure to impress a crowd. Combine ingredients in a punch bowl 3/4 full of ice.